This is a sample of “Do Nothing and See What Happens” Approach. Description- Provided for in RCW 11.62 et seq., a small estate affidavit allows for the transfer of personal property from the decedent to the decedent’s successors without the need for probate if the total value of the decedent’s estate is less than $100,000. Advantages– A small estate affidavit is a cheaper and faster way to transfer personal property to heirs than either a will or a trust, particularly when all of the decedent’s debts are known and the decedent’s estate has sufficient funds to pay all claims. Disadvantages- There are many disadvantages to taking the “do nothing and see what happens” approach. First, if the person who passed away owned any Real property (such as the decedent’s house), then RCW 11.62 does not apply. Real Estate title cannot be transferred by the small estate affidavit. Second, there is no creditor claim cutoff deadline for a small estate affidavit. Third, you may have to wind up doing an Intestate Probate which takes longer and is more expensive. This causes your heirs to receive less money because more money was spent on the costs of the intestate probate and a substantial delay in being able to transfer gifts to your beneficiaries. Fourth, you have not addressed the situation where you are alive but medically incompetent to handle your real estate and financial accounts. No designation has been made for a person to watch out for you (a guardian designation) or health care decisions. For a little bit of time and money, you can create a comprehensive Peace of Mind Planning package that is effective now, will remain in effect in the event you become mentally unable to handle your financial matters and save your family and friends the heartache and hassle of cleaning up your affairs. 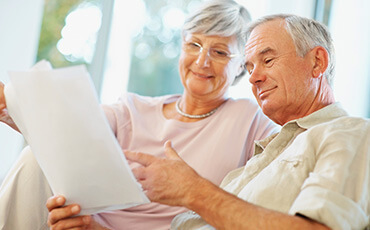 Over the past 21 years, I have helped over 800 clients prepare and utilize simple and effective planning techniques to protect them and their families in order to avoid probate, save estate taxes, save money and save added emotional burden that comes from long term illness and/or death of a family member. Give us a call to schedule a free consultation to find out how we can help you and your family.